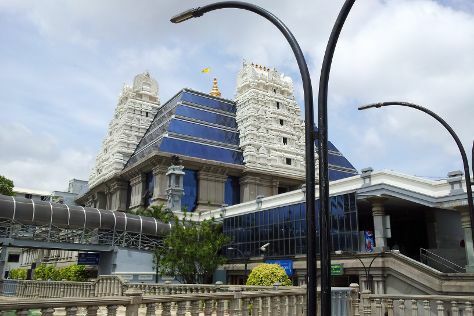 On the 23rd (Sun), take in the spiritual surroundings of ISKCON Temple Bangalore, tour the pleasant surroundings at Cubbon Park, then admire the striking features of Vidhana Soudha and Attara Kacheri, and finally admire the natural beauty at Lalbagh Botanical Garden. To find where to stay, reviews, traveler tips, and tourist information, refer to the Bengaluru journey builder tool . Use the Route module to find suitable travel options from your home destination to Bengaluru. In December, plan for daily highs up to 32°C, and evening lows to 19°C. Finish your sightseeing early on the 23rd (Sun) so you can travel to Rishikesh. On the 24th (Mon), let the river carry you with a rafting and tubing tour, snap pictures at Lakshman Jhula, and then contemplate in the serene atmosphere at Triveni Ghat. For reviews, other places to visit, where to stay, and more tourist information, read Rishikesh travel tool . Traveling by combination of flight and taxi from Bengaluru to Rishikesh takes 4 hours. Alternatively, you can drive; or take a bus. Wrap up your sightseeing on the 24th (Mon) to allow time to travel to Jim Corbett National Park. Start off your visit on the 25th (Tue): make a trip to Garjiya Devi Temple and then contemplate the waterfront views at Kosi River. 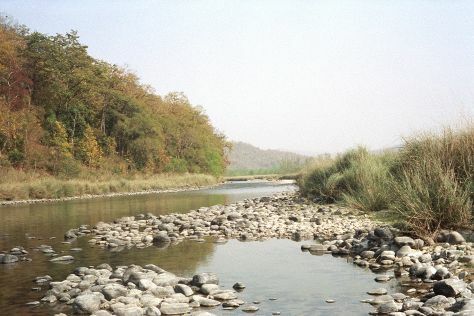 For maps, photos, and tourist information, go to the Jim Corbett National Park online trip maker . Use the Route module to find suitable travel options from Rishikesh to Jim Corbett National Park. Cap off your sightseeing on the 25th (Tue) early enough to travel to Kedarnath. Kedarnath is a town located in the Indian state of Uttarakhand and has gained importance because of Kedarnath Temple. On the 26th (Wed), identify plant and animal life at Kedarnath Wildlife Sanctuary, pause for some photo ops at Shankaracharya Samadhi, and then take in the spiritual surroundings of Kedarnath Mandir. For other places to visit, more things to do, maps, and more tourist information, read our Kedarnath day trip tool . Use the Route module to find suitable travel options from Jim Corbett National Park to Kedarnath. Finish your sightseeing early on the 26th (Wed) to allow enough time to travel to Mussoorie. Start off your visit on the 27th (Thu): contemplate in the serene atmosphere at Tibetan Buddhist Temple, then don't miss a visit to Lal Tibba, then take your sightseeing to a higher altitude at Gun Hill, and finally take in the dramatic scenery at Kempty Falls. To find other places to visit, maps, more things to do, and tourist information, read Mussoorie trip maker . Use the Route module to find suitable travel options from Kedarnath to Mussoorie. Wrap up your sightseeing on the 27th (Thu) to allow time to travel back home.